My twin boys just graduated 8th grade and now move up to the high school. I can't believe they will be 15 later this year. I love this black & white anniversary card made with the heart punch. This would be a cute wedding card too, don't cha think! I took this pix at my upline's place, sorry don't know who to give credit to. By now, the daffodils are gone (or been eaten) but I loved this card and wanted to share. Hope all you FATHERS out there had a good day yesterday. The weather was really nice in NJ. Check out this fun card we made at my upline's. That Gumball Green is growing on me. The tree branches are from the pretty tree in the Thoughts & Prayers stamp set (an oldie but goodie). 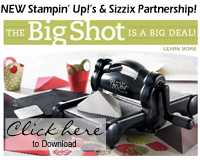 Isn't this a fun way to use this stamp! The background is made using the Houndstooth embossing folder. Masculine, eh. Have you seen the new In Colors in-person? I LOVE this card below. It is a sample that I saw at my upline's house this past weekend. The main color is RASPBERRY RIPPLE. Come see all the new colors at my open house on Friday. If you live in the Branchburg NJ area, swing on by. 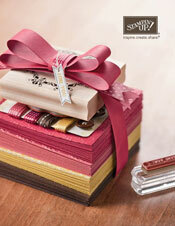 I will have samples for you to see and of course, a make-n-take. PLUS, loads of retired stamps for sale. Bring cash for those please.